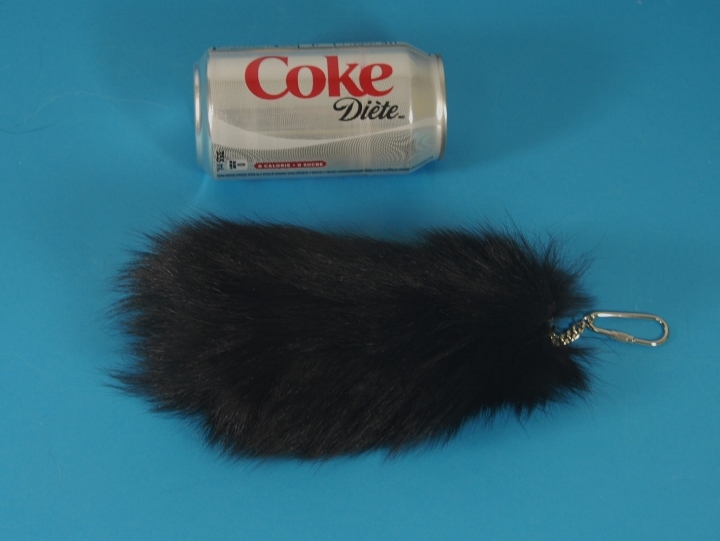 These are pieces of real fox tails made into keychains. 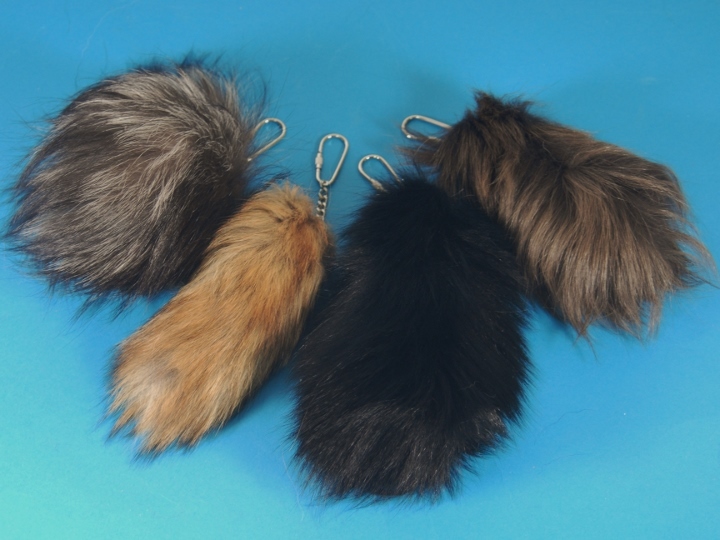 They come in assorted natural and dyed colors. 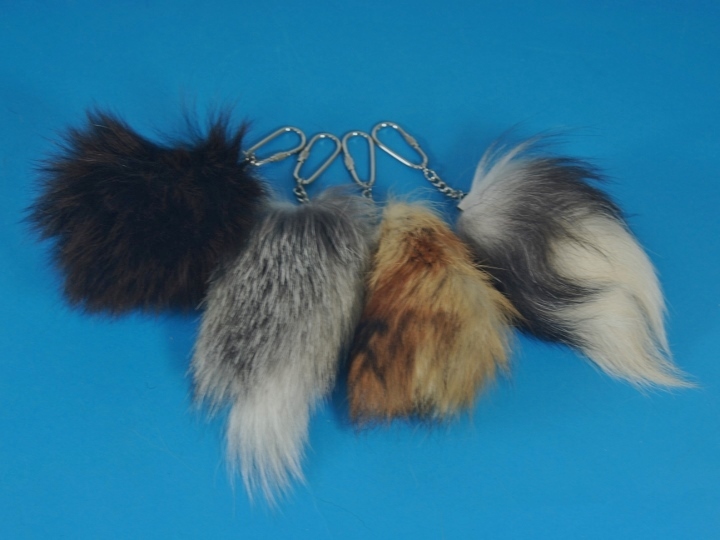 The large puff keychains average 6" to 10" long, while the small puff keychains average 4" to 6" long. 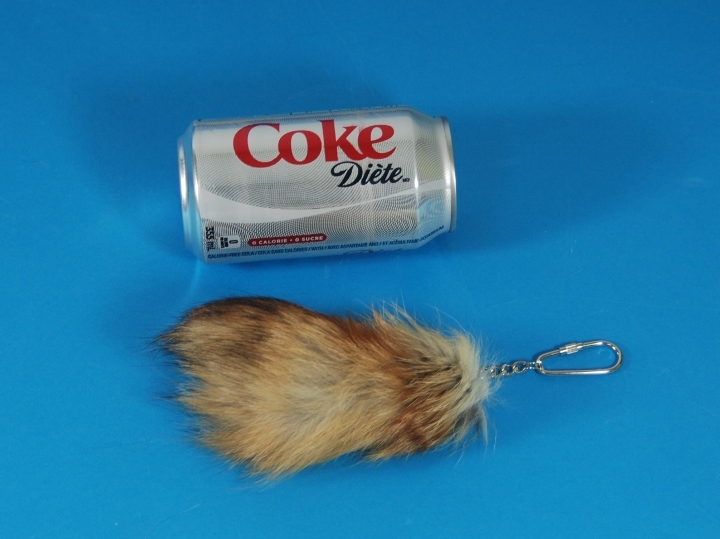 Fox is not subject to CITES controls.